Back to few years ago when I start purchasing loads and loads of makeup products, everytime I'd dump them into the drawer and only pick the few that I really love to use. 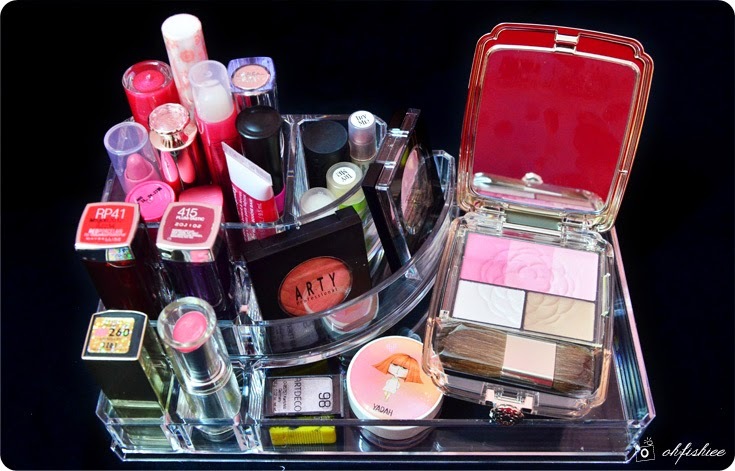 I always have this issue of "organizing" my cosmetics, because there are way too many! .....until recently I decided to get a proper organizer to place all my beloved babies. Ta-daaa! 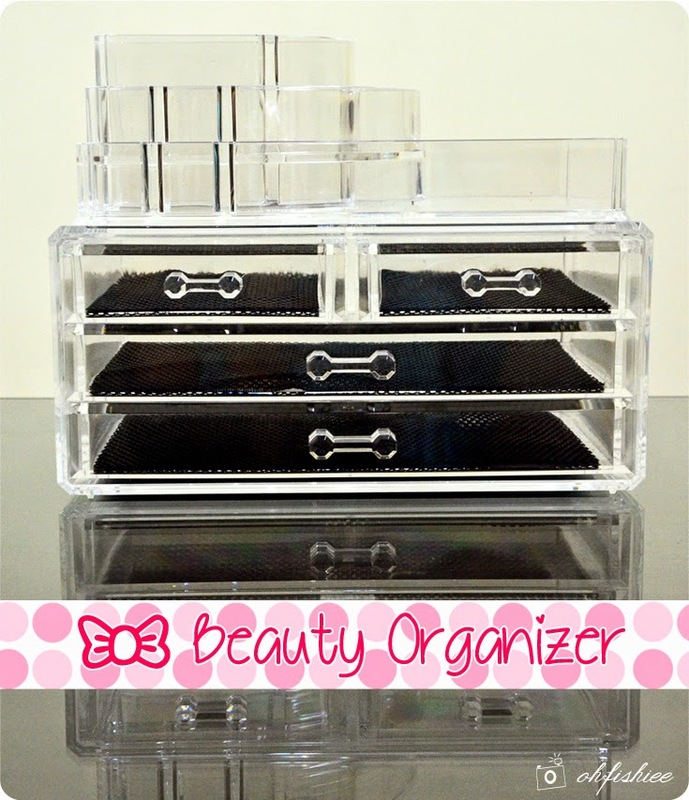 Time to invest in a good, multi-compartment cosmetics organizer. Is it pretty? Saw lots of them at some home furnishing stores in the mall, but the prices are so shocking! Thank God I found one at Happy2u.my, my ultimate platform for fashion wear, accessories and beauty stuff. 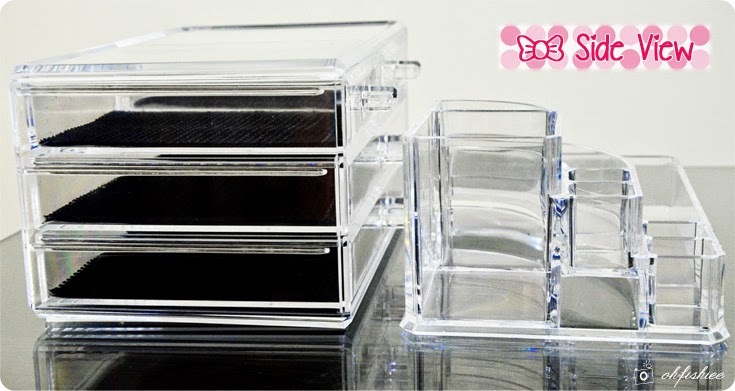 Comes in thick, high-quality Grade A plastic, I'm surprised that the organizer is very durable and doesn't break easily although I have once dropped it onto the floor due to my carelessness T_T It may look fragile, but no worries, quality assured! 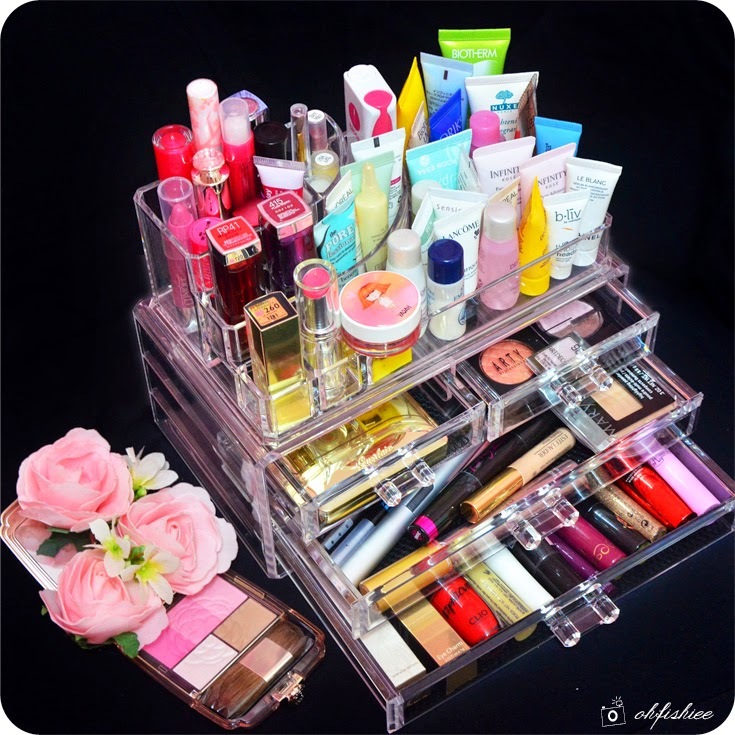 It comes in different sizes, but I prefer something large with a top standing holder so that most of the compartments are just nice to fit my current beauty collection. 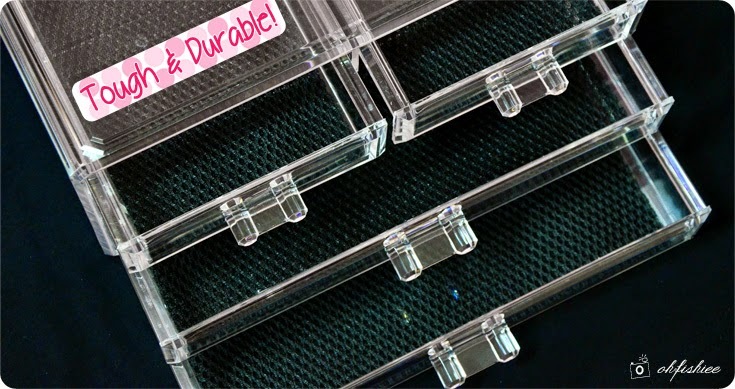 Plus, the top compartments and 3-tier drawers are detachable! 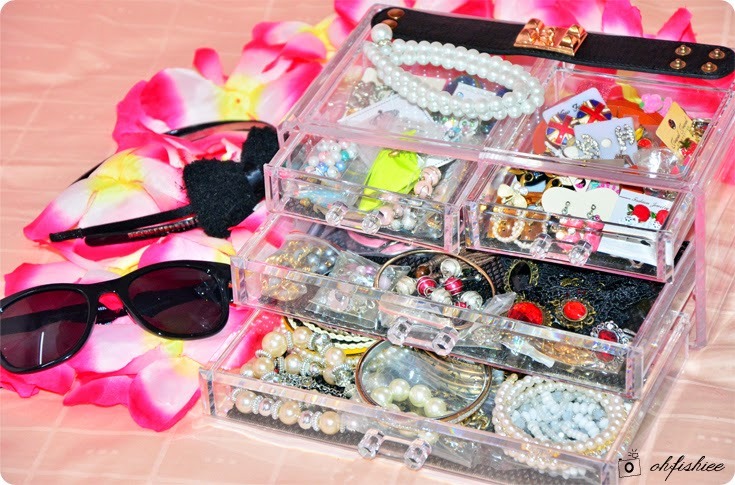 So happy that it can fit all my small-sized jewelleries such as rings, bracelets and earrings! 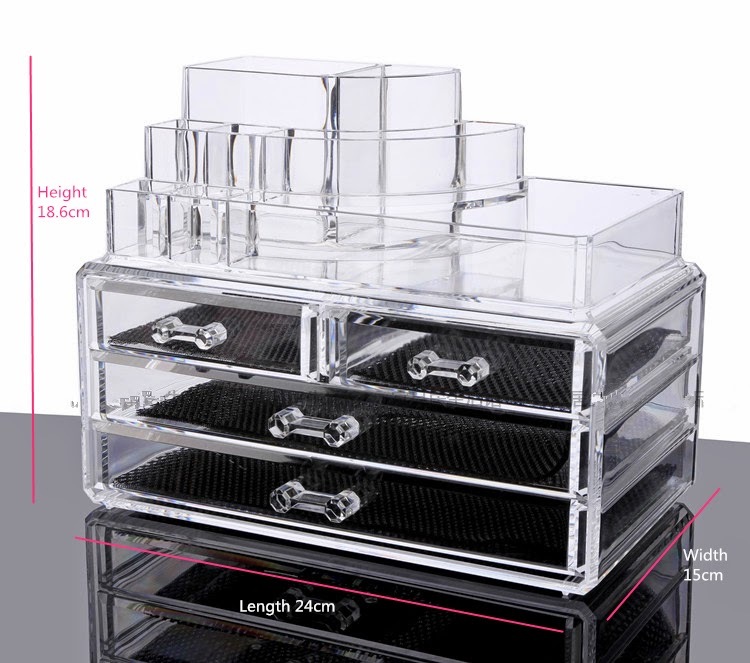 each compartment comes with a soft, protective net that acts as a 'cushion' to my beloved collection. 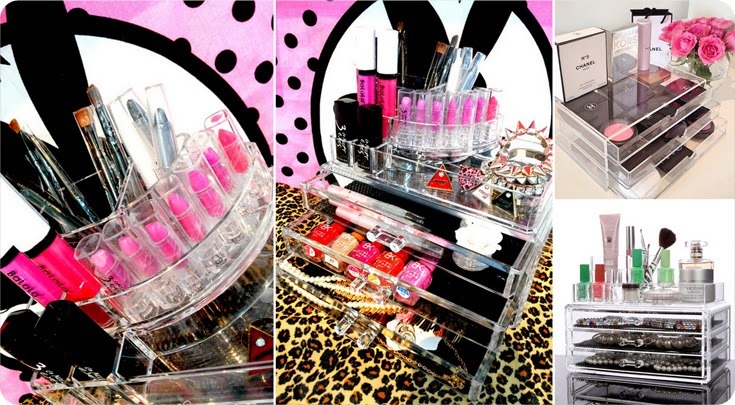 Here's a clearer picture of the top compartment. 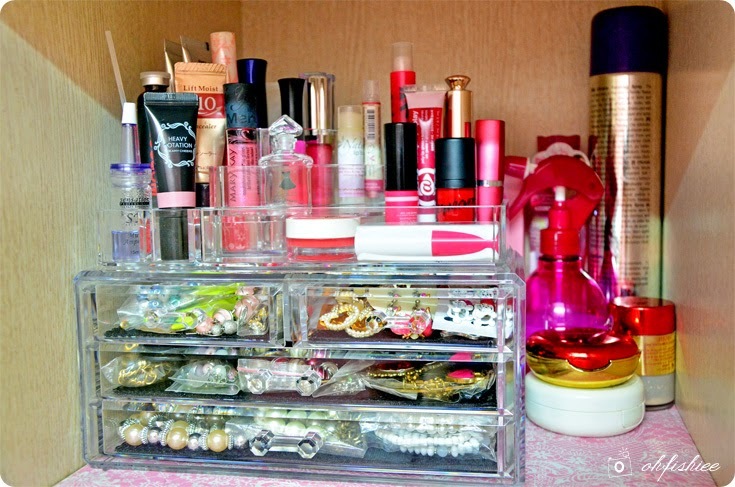 Best used for my beloved collection of lipsticks! Alternatively, you can place on your working desk and transform it into a stationery holder. 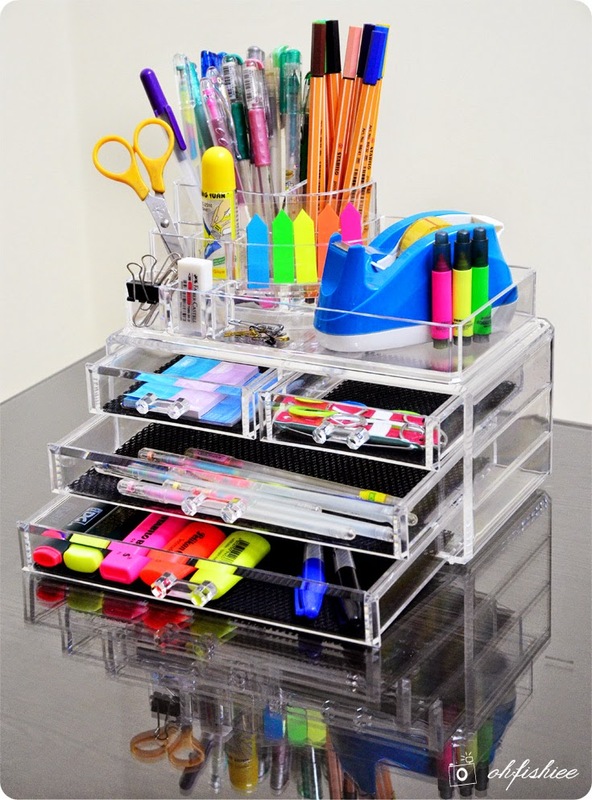 Pens, scissors, sticky notes and paper clips can easily be arranged into the multiple compartments. Now I can easily reach them, and no more playing "hide-and-seek" with my favourite products! Other designs/sizes are available on www.happy2u.my; Price ranges from RM45 to RM68.